Sunday School, the greatest lay movement since Pentecost was founded by a layman. Robert Raikes was the crusading editor of the Glouchester Journal. After becoming frustrated with inefficient jail reforms, Raikes was convinced “vice could be better prevented than cured.” While visiting in the slum section of the city, he was distressed with the corruption of children. Raikes shared the problem with Reverend Thomas Stock in the village of Ashbury, Berkshire. They conceived of a school to be taught on the best available time – Sunday. They decided to use the available manpower – laymen. The curriculum would be the Word of God and they aimed at reaching the children of the street, not just the children of church members. The movement began in July, 1780 when Mrs. Meredith conducted a school in her home on Souty Alley. Only boys attended and she heard the lessons of the older boys who coached the younger. Raikes wrote four of the textbooks, but the Bible was the core of the Sunday School. Later, girls were allowed to attend. Raikes shouldered most of the financial burden in those early years. Within two years, several schools opened in and around Gloucester. On November 3, 1783, Raikes published an account of Sunday School in the columns of his paper. Excitement spread. Next, publicity was given the Sunday School in Gentlemen’s Magazine and a year later, Raikes wrote a letter to the Armenian Magazine. 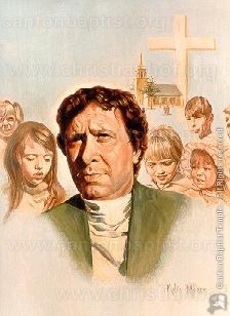 Raikes died in 1811, but by 1831 Sunday School in Great Britain was ministering weekly to 1.25 million children, approximately 25 percent of the population.